Our pets love music too !! Pets and music, do you think our pets like it? Do you leave the radio on for your pet to keep him company while you’re away from home? Do you imagine him enjoying the music, perhaps wagging his tail or purring to the beat, getting extra excited when “his song” plays? Do you assume that since your favorite band is Nickelback, your pet’s favorite band is Nickelback? As it turns out, cats and dogs have vastly different hearing compared to their pet parents, and the music you play for them may not be appreciated as much as you’d think. Cats have excellent hearing. They’re also quite adept at filtering out all of the less relevant noises in their life. For example, you may notice your cat immediately runs to your side upon hearing his pouch of “Temptations” treats open, but will flat out ignore you when you call him to you. Believe it or not, a cat’s hearing is two times as sensitive as a dog’s, while dogs have hearing that is five times more sensitive than a human’s. Cats also have an amazing ability to hear very quiet noises, as well as higher frequencies. They can hear noises that humans are completely unaware of. A dog’s superior hearing allows him to hear higher frequencies, too, and dogs with upright ears are better able to precisely locate and amplify sound, thanks to the 18 muscles that control their ears. His ears can pick up sounds that mere human ears cannot, making many dogs more susceptible to a fear of loud noises. When we determine we like a song, it isn’t based only on what we hear, but also the interpretation. Our response to a song can be based on our experiences, emotions, memories and other feelings that the music evokes. We tend to respond to music that is similar in tone to our own speaking range and heart rate. Since cats and dogs hear differently and much better than us, they do not ‘hear’ the world in the same way we do. So the chance that your pet enjoys the exact same music you do is as great as the chance that you would enjoy eating his food. Theoretically, a larger dog may have a more similar taste in music to that of his humans, since their heart rates are similar; but a smaller dog and a cat, with a much faster heart rate, would likely prefer music that is entirely different from his human’s favorites. 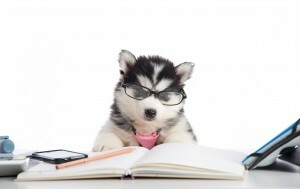 In 2002, a psychologist and animal behaviorist undertook a research program to determine the influence of five types of auditory stimulation on shelter dogs. Her findings showed dogs of all sizes bark less and spend more time resting when listening to classical music versus heavy metal, pop, no music at all and human conversation. The findings suggested the same musical choice would likely be a favorite for cats, too. Before you rush out and buy a bunch of classical CDs for your pet, pay attention to your pet’s behavior when music is playing. 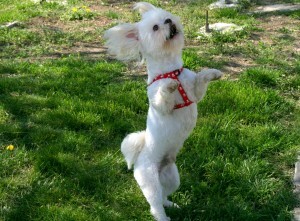 If your pet remains relaxed, chances are he is amenable to the music playing. But, if your pet moves away from the sound or appears uncomfortable, try a different tune. You may be surprised to find Fido or Fluffy actually prefers Metallica over Mozart! Please don’t amputate these ! Declawing in cats, also known by its medical term onychectomy, refers to surgical removal of the claws. Declawing is an elective procedure that is banned or illegal in many parts of the world including the UK, Australia, and many European countries. It is still offered in veterinary practices across the United States in conjunction with spay or neuter surgeries. Declawing involves surgical removal of the claw and the distal phalanx (the last joint and bone in a cat’s toe) that it is attached to. A partial digital amputation is the only way to completely remove the claw in order to prevent regrowth and abscess formation in the area. This is the equivalent of removing the last bone on the tips of human fingers at the first knuckle. Declaw surgery is subject to risks and cause long term physical and behavioral complications in cats. Declaw surgery is extremely painful and cats require large doses of analgesia (pain relief) for several days post-operatively. Risks of surgical complications include damage to the radial nerve, residual bone fragments, and hemorrhage (excessive bleeding). Removing the claw and distal phalanx alters the structure of a cat’s feet. This altered anatomy causes the feet to touch the ground at an unnatural angle and places physical stress on the legs. The unnatural balance that declawed cats must adapt to results in weakened muscles and chronic joint pain. There is an increased risk of developing arthritic changes earlier in life and declawed cats can develop abnormal growth of severed nerves leading to recurrent painful sensations in the toes. Declawed cats often develop behavioral problems. Litter box aversion, problem biting, and ongoing stress are common. Litter box aversion occurs because cats experience a significant amount of pain when climbing in and out of the litter box for the first few days after surgery. They learn to associate the litter box with pain and will avoid it. As cats can no longer use their claws for marking territory, they may begin urine marking and develop inappropriate urination habits. Cats use their claws for a variety of tasks including protection, jumping, and playing. Declawed cats can no longer comfortably exhibit normal behaviors such as jumping, self defense, or even grasping onto toys. Cats who have lost their primary means of protection may overcompensate and start problem biting. Declawed cats are often nervous, fearful, and stressed. Chronic stress can lead to a weakened immune system and ongoing medical complications. Declawing is a harsh and final procedure. There are less painful ways to manage a cat’s natural scratching behavior. The best way to deter problem scratching is to make furniture unattractive for cats. This can be achieved by covering the area in foil or double sided tape, or by using repellent sprays to make the area unpleasant. Punishment can be successful but should be done with care. It is best to implement punishment from afar so that cats do not associate punishment with their owners. An example of a successful tactic is using a water bottle to spray the cat from a distance when scratching occurs. Punishment should be implemented immediately after the unwanted scratching behavior occurs. Scratching is a normal behavior for cats which helps to stretch their muscles and keep their nails short. 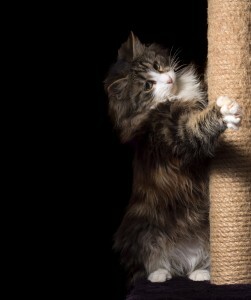 Scratching should be encouraged when it occurs in the correct scratching area such as a scratching post or cardboard log. Placing catnip or using a catnip spray around these areas can make them more attractive for cats than the furniture. Whenever a cat uses their designated scratching area, they should receive positive reinforcement in the form of treats and praise. Regular trimming of nails helps to remove sharp tips and prevent damage caused by scratching. Consistent trimming is required, ideally every 1-2 weeks. A veterinarian can explain the components of the nail including the quick (the area that contains blood vessels) and demonstrate a proper technique. It is easy to trim the nails at home for well-behaved cats. Acrylic nail caps are available that fit over the top of a cat’s claws and are glued in place. The adhesion of nail caps with glue is not painful. The caps will still allow cats to perform a scratching motion, but will not cause damage to furniture. The nail caps will grow out with the cat’s claws so reapplication every 4-6 weeks is required. Once the application process has been demonstrated by veterinary staff, they are simple and easy to reapply at home. Declawing is not only removal of the claw, but a mutilation of the bones in the feet. It is a painful and unnecessary procedure that often results in long term medical and behavioral troubles. Claws are used for balance, stretching, and exercise and without them cats can develop chronic pain and exhibit ongoing stress. Scratching is a normal behavior and there are ways to control it without the need for surgery. According to a May 2014 survey by the Association for Pet Obesity Prevention, almost 53 percent of dogs are overweight or obese, with only a small percentage having a health condition that contributes to their excess weight. In other words, the majority of those chubby pups are overweight because of the manner in which their pet parents care for them ~ with too much food, too many treats and insufficient exercise. Sure, it’s tempting to spoil your dog. After all, we love him, he’s a member of your family, and how can you possibly resist those sweet puppy dog eyes? But, what may seem like a kindness, reward or show of love for your dog can actually be a punishment in the long run. You may not be able to identify your dog’s need to lose weight based on his appearance alone. Pets can appear to be in good shape even when they are not. At the appropriate weight, your dog should have only a thin layer of fat over his ribs and show an hourglass shape when looking down on him. If your pooch has long hair, take a close look at him the next time you bathe him, when his hair is wet. If your dog doesn’t show an obvious waistline just after the rib cage, and is essentially rectangular-shaped, it’s a good sign he needs to lose a few pounds. Of course, if after inspection you’re still unsure if you’d classify your dog as overweight, the best thing to do is get your veterinarian’s opinion. 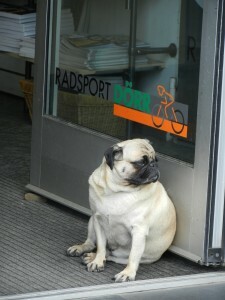 How Can Being Overweight Harm My Dog? Even if your dog does not suffer from any of these conditions, research shows properly managed food intake can help your pooch live longer. How Can I Help My Dog Slim Down? Be sure to follow the feeding guidelines on your dog’s food. If he has a lot of weight to lose, try a prescription diet food. This will allow him to lower his caloric intake while still getting enough of the nutrients he needs. As hard as it may be on both of you, stop giving your pooch between-meal treats and bedtime snacks, unless it is a health option such as a few steamed green beans or a spoonful of plain pumpkin (not pumpkin pie filling!). Make sure your entire family is on board. There’s no point in having your weight loss guidance ruined by another person feeding your dog snacks on the sly. Show your dog how much you love him in a way that doesn’t involve food. Trade a treat for a massage or a game of fetch. Increase your pooch’s exercise by taking him for more walks (aim for at least two 15-minute walks each day), taking him to the local dog park, joining him in a good game of tug-o-war, etc. Just like humans, your dog needs (and craves!) aerobic activity. Obesity is a preventable condition that has many adverse effects on your precious pooch’s health. If you determine your canine companion is carrying around a few extra pounds, make the necessary changes to help him enjoy a better quality of life. If you share your home with a feline friend, you’ve likely seen your fair share of hairballs. Sure, they may look disgusting and unpleasant to clean up, but have you ever wondered whether they are normal, and what you can do to prevent your cat from leaving them like little surprise presents around your house? So, you know how the texture of your cat’s tongue resembles sandpaper? That texture is actually backward facing barbs on the tongue that resemble tiny hook-like structures. Those structures trap loose hairs when your cat is grooming, with the hair being swallowed and passed through the digestive tract, then being disposed of in your cat’s litter box. However, cats with long, thick coats of hair, or those who groom excessively, can experience an overabundance of swallowed hair that does not always make its way to the digestive tract. Instead, it can collect in the cat’s stomach, forming a hairball. Ultimately, your cat will vomit the hairball. 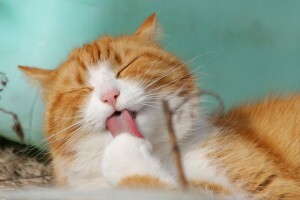 Sure, your cat is an avid self-groomer, but as gung-ho as she may be about keeping groomed and clean, the truth is she can still use a bit of help from you. Regular brushing offers the benefit of dead hair removal, which aids in the reduction of hairballs. Always brush in the direction that the hair lays naturally, never against the ‘grain.’ Brushing twice a week should be plenty for most short-haired cats, while a long-haired cat may need to be brushed every day. “Hairball Formula” cat food. Many pet food manufacturers make high-fiber formula foods designed to improve the health of your cat’s coat, minimize shedding, and encourage hairballs to pass through the digestive system rather than collect in the stomach. Hairball products. While there are many hairball products available (most of which are mild laxatives that help hairballs pass through your cat’s digestive tract), there are also many natural remedies. Canned natural pumpkin provides an excellent source of fiber which helps move excess hair in the stomach through the digestive system. Giving your kitty some small pieces of apple, sweet potatoes or carrots is another source of healthy, all-natural fiber that will help move the hair through your cat’s digestive system. Coconut oil can help manage your cat’s icky hairballs by improving her digestion. Just add ½ a teaspoon of coconut oil per five pounds of body weight to your cat’s food for results. The occasional hairball is normal, but if your cat is hacking up hairballs more than a few times per month you should visit your veterinarian as there may be an underlying cause, such as a food intolerance, skin disease, chronic gastrointestinal disease or flea allergies. These are all treatable diseases that are often hidden by our feline friends, who rely on our help to recognize the need for assistance. So, pay attention to your cat’s hairball frequency, help her out with her grooming, and ensure her diet includes ingredients that will help her better digest the hair she swallows when self-grooming. She will thank you by leaving you less blobs of hair and yuckiness around the house for you to clean up! Therapy animals have long been used to assist people with various disabilities, including the blind and those who suffer from paralysis. And in more recent years, pets have become the unlikely heroes to those battling post-traumatic stress disorder, autism, diabetes, and a wide array of other ailments and disorders. Now, pets of all kinds have become increasingly common in the treatment of individuals with dementia-related disorders, such as Alzheimer’s, Huntington’s and Parkinson’s diseases. Researchers have long suggested that pets are good for us; they offer health benefits such as lowering blood pressure and heart rate, reducing the stress hormone cortisol, and boosting levels of the feel-good hormone, serotonin. And, anyone who is a pet parent can attest to the fact that animals just make you feel good! People suffering from dementia face many obstacles ~ irritability, restlessness, loneliness and depression, just to name a few. And, due to the anxiety that social situations can cause, they often avoid them all together, even when it means foregoing interactions with their family, friends and loved ones. As well, dementia suffers can lose their motivation and neglect necessary daily activities such as physical activity, eating and basic personal hygiene. It’s emotional factors like these that can make a furry companion ideal for someone with dementia. Animals are naturally non-judgmental. The can provide a tremendous source of social support, companionship and unconditional love, making them ideal therapists and company for those with dementia. Research has shown that people with dementia, although they may display discomfort around human companions, recognize a pet as friendly and non-threatening and, when with a pet, are more interactive. And animals can create a psychological anchor to reality by maintaining a meaningful daily routine for a dementia sufferer, which thus adds to the quality of life. Dogs in particular have proven to increase pleasure and reduce anxiety simply with their presence. 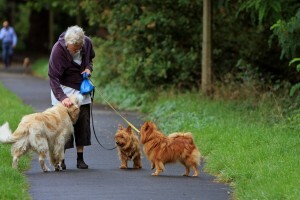 And, depending on the mobility of the dementia patient, can help to increase the amount of physical activity and engagement the person participates in, as playful activities with the dog lead to such. Indeed, it does take a special animal to become a therapy pet. The animal’s temperament and personality is extremely important, and are the main determinant’s of whether or not a particular animal is cut out to serve as a therapist. The obvious choice would be an animal who is sociable, comfortable with strangers, and not easily scared or startled. If a potential pet is all of these, then, yes, he or she can be a highly dependable therapist for a dementia patient, considering the patient is not averse to welcoming a pet into his or her life. While research is still being developed on therapy animals in the dementia field, it is evident that therapy animals have already shown to be beneficial to many people who suffer from a dementia-related disorder.